Affalterbach/Miami. 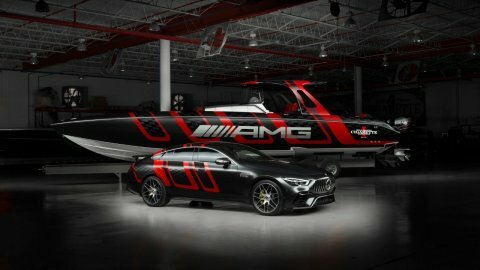 Today Mercedes-AMG and Cigarette Racing presented the "41’ AMG Carbon Edition" at the Miami International Boat Show. 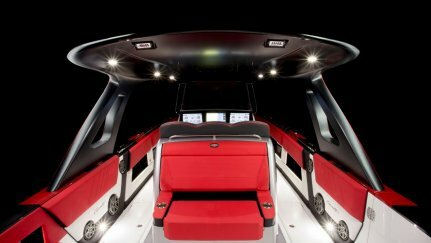 As the eleventh jointly developed boat in this longstanding partnership, this special edition sets new standards in terms of performance, handling and versatility. Its systematic lightweight construction and design are inspired by the current Mercedes-AMG GT 63 S 4-door Coupé (combined fuel consumption: 11.3 l/100 km; combined CO2 emissions: 257 g/km). Robust, lightweight carbon-fibre components are installed in the 41’ AMG Carbon Edition and the boat features an optimized centre of gravity for ideal handling. “For twelve years we have been exploring the limits of performance on land and at sea with Cigarette Racing. Inspired by the incredible new Mercedes-AMG GT 63 S 4-door Coupé, the 41’ AMG Carbon Edition impresses with its extremely high performance and its expressive design", says Tobias Moers, Chairman of Mercedes-AMG GmbH. To achieve dynamic performance coupled with versatility, the Cigarette Racing team engineers followed a single design aim in their development work: weight reduction. Compared to the GT R Performance boat of 2017, the engineers were able to save around 250 kilograms of weight thanks to an optimised mixture of lightweight materials which includes carbon-fibre. The hull of the 41-foot (12.5-metre) long vessel uses innovative sandwich construction with carbon-fibre structural laminates on both sides of a lightweight core. This allows a more rigid structure of considerably reduced weight. 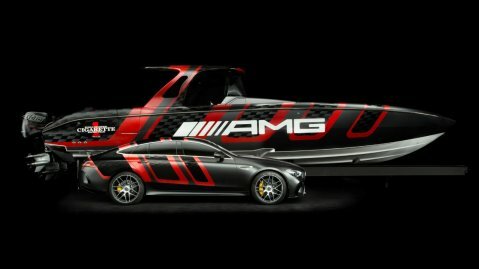 Furthermore, the deck, rudder, roof lining and hardtop of the 41’ AMG Carbon Edition are also made of carbon-fibre. This lightweight construction also ensured it was possible to lower the boat's centre of gravity, improving the handling during high speed manoeuvres. 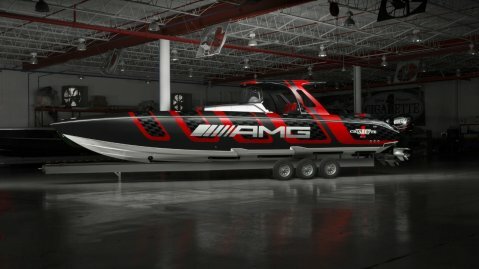 The 41’ AMG Carbon Edition is powered by four Mercury Racing 400R outboard engines. 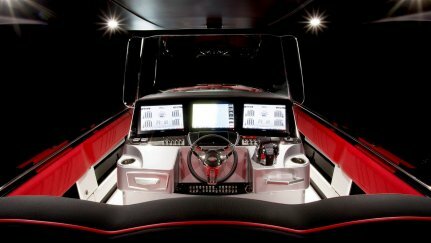 Together they generate 1177 kW (1,600 hp), giving the boat a top speed of 142 km/h. These are extraordinary performance figures in this boat class, which combines the user-friendliness of outboard engines with a spacious interior. It also allows larger passenger groups to be accommodated in luxurious surroundings. For example, the 41’ AMG Carbon Edition is able to carry eight passengers at maximum speed or up to 20 passengers at cruising speed. Thanks to lightweight construction and power, the 41’ AMG Carbon Edition offers an attractive combination of performance, excellent handling and versatility, attributes it shares with the Mercedes-AMG GT 63 S 4-door Coupé. 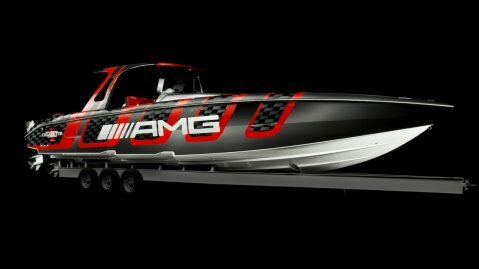 The striking design of the boat is the result of close collaboration between the Cigarette Racing Team and Mercedes-Benz designers, who developed the paint finish and the graphic design of the hull. The hull is painted in designo graphite grey magno, a finish developed exclusively for the Mercedes-AMG GT 4-door Coupé. The hallmark graphic design derives its special appeal from the contrast between matte and high-gloss areas interacting with bright red. 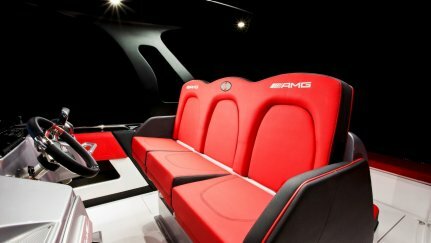 These central design features are continued in the interior of the boat, where they create an unmistakable Mercedes-AMG interior. For example, the tailored seat upholstery is colour-coordinated with the exterior and seam patterns exclusively designed for this special edition. Additionally, the interior features innovative "Cigarette Cool" upholstery which is able to reflect up to 30 percent of the absorbed heat. This technology made a darker colour choice possible in the interior, while retaining a comfortable and luxurious atmosphere. The cockpit is equipped with three multifunctional 17-inch full-HD Garmin displays with touchscreens. The displays show GPS coordinates, navigation charts and engine/operating data. They can also be used to control the onboard ambient lighting. 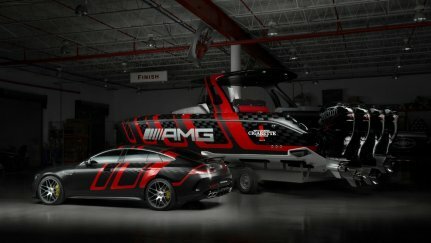 The land-based role model for the Cigarette Racing 41’ AMG Carbon Edition is the Mercedes-AMG GT 4-door Coupé, which is also prominently displayed at the Miami International Boat Show. The Coupé is the third vehicle and the first four-door sports car to be developed entirely in-house by the performance brand. 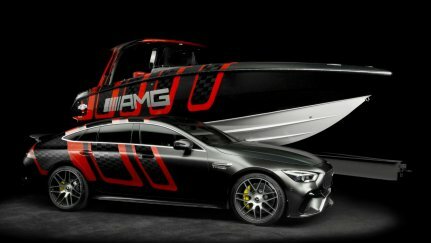 Technical highlights of the new Mercedes-AMG GT 4-door Coupé include active rear-wheel steering for great agility and stability, an electronically extendable rear spoiler for optimum downforce at different speeds, an electronic rear axle with limited slip differential and a specially adapted AMG Ride Control sport suspension based on Air Body Control. The Mercedes-AMG GT 63 is powered by a hand-built AMG 4.0-litre V8 biturbo engine developing 424 kW (577 hp) and 800 Nm of peak torque; the Mercedes-AMG GT 63 S develops 463 kW (630 hp) and a peak torque of 900 Nm. This addition to the AMG GT family opens the segment up to customers seeking a vehicle which offers the impressive Driving Performance of the two-door AMG GT sports car combined with day-to-day suitability and ample space for four passengers. 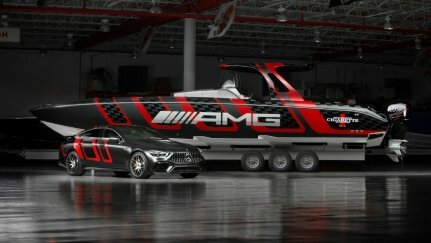 Mercedes-AMG and Cigarette Racing have worked together since 2007, above all with joint customer and marketing activities. Whether on water or on land, Mercedes-AMG and Cigarette Racing share similar DNA. 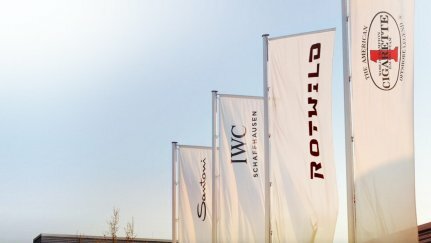 Both companies have their roots in racing, and both are inspired by the same values. This makes them ideal partners who are jointly redefining the limits of design and performance. 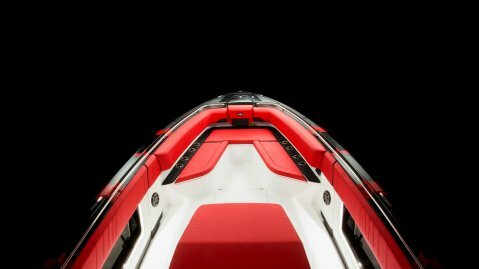 These 38 (11.6 m) to 60-foot (15.2 m) long motor boats by the American specialist are among the world's fastest and most exclusive racing boats. Customers receive tailor-made, hand-finished quality that has been tested under extreme conditions – both by Mercedes-AMG and by Cigarette Racing.